Initially, term life insurance is an inexpensive option. It is often used to cover temporary debt such as mortgage and other shorter term issues. 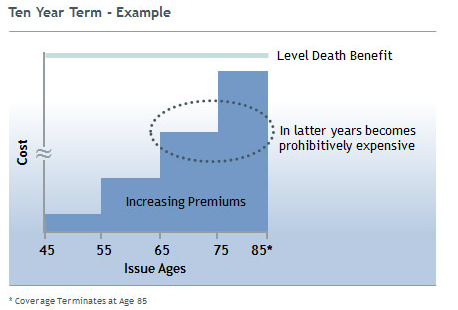 Term insurance prices increase dramatically with age. Owners of these policies can expect to experience an increase at each term renewal. There are a variety of these term options available. Should I Buy Term Life Insurance? If you looking for any of the following items, you may be best suited for a term life insurance policy.